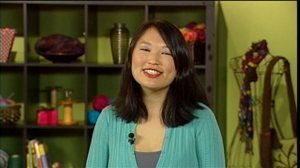 In this episode of Knitting Daily TV you are taken to the edge – that is, the perfect finish or edge for your cuffs or hems. 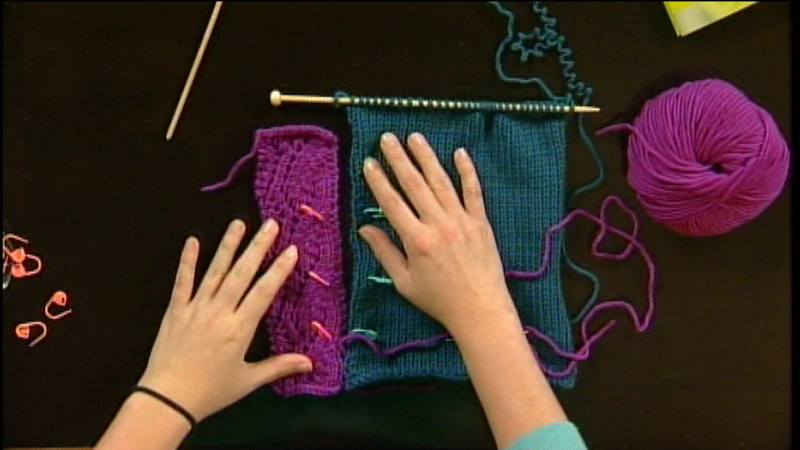 Edgings can create a signature look to any knit or crochet project. Eunny demonstrates a variety of knitted edgings. 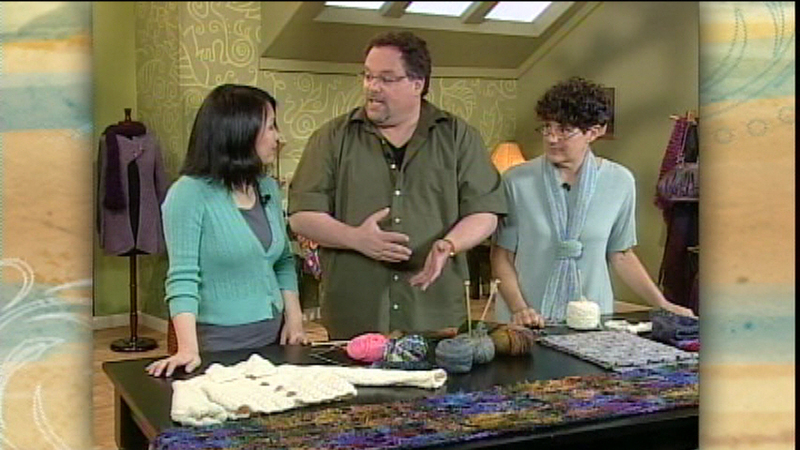 Download tips and tricks for better knitting from guests and experts on Series 400. Knitwear designerTheresa Schabes join Eunny on location and demonstrates a unique double-knit, double-sided reversible scarf that begins by casting on from the scarf’s i-cord edging. 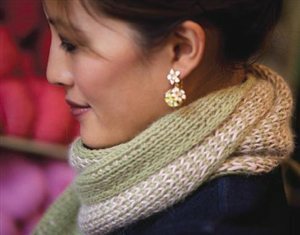 Download Theresa Schabes’ (Almost) Double Knit Scarf from Interweave Knits Gifts 2009 issue. 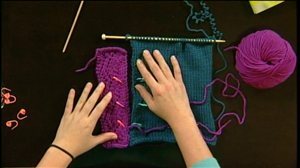 Kristin shows some of the important first steps of finishing a crochet project, from weaving in loose ends and simple joining methods to fastening off. 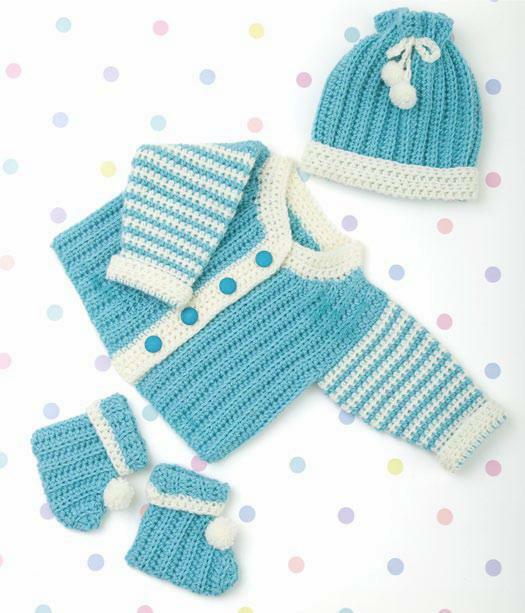 Download the Newborn Layette pattern from Coats and Clark and Redheart Yarns. 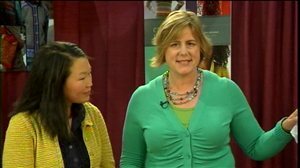 Barry Klein from Trendsetter Yarns and Laura Bryant from Prism Arts, Inc. show how cast on edges are the beginning to a successful garment. They’ll offer instructions for a long-tail cast on, knit-on cast on, and a unique two-color cast-on with one stitch done in each color yarn. Download Tips for Casting-On: Tubular Cast-on. 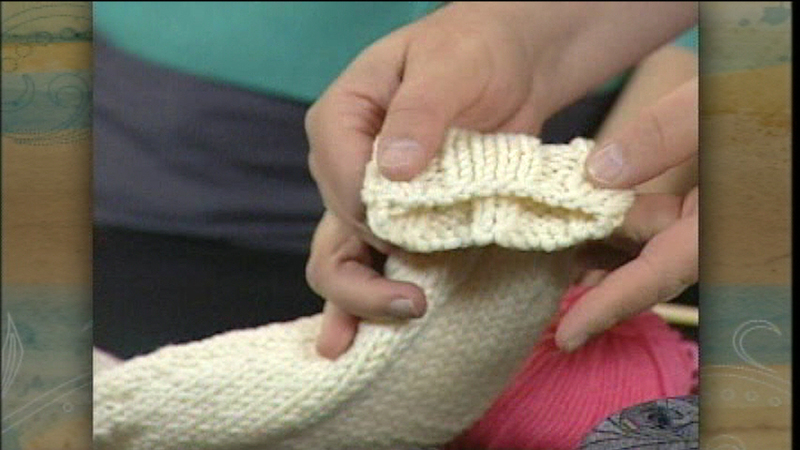 Also, download the Kid's Neck Down Pullover pattern seen on this episode.